Are you looking to relax your mind, body and soul in the fresh mountain air of Italy? Excited to explore small medieval villages and healthy heart filled food? All fruit juices, fresh spring water, cafe, tea & chocolate. All Fresh Health Juices, Prosecco, Wines and Chocolate. Healing Therapies available at extra cost. Nearest Airports Perugia and Rome. 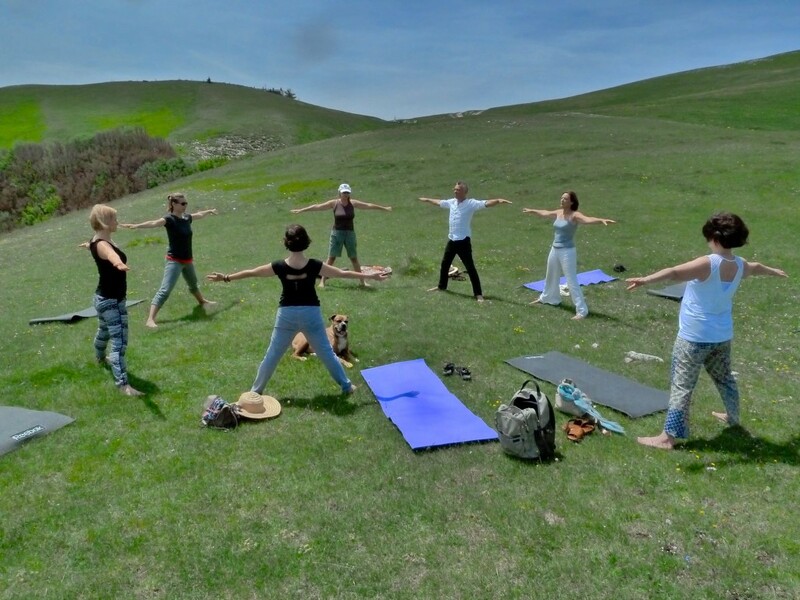 Our places are limited to only 8 participants per Abundance Yoga Retreat 2019 ensuring you get lots of personal attention. We teach all classes in English. They are designed to for participants who are beginner to intermediate and alternative poses are taught so all abilities can be in flow. 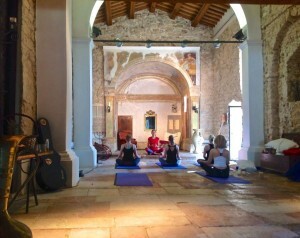 A Life Changing Beautiful Experience at Abundance Yoga Retreat Italy! 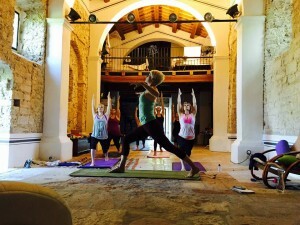 THE Europe yoga retreat 2019. There are many yoga retreats in Europe but not with such a remote feeling in an unspoiled natural setting, yet relatively easy to access, . 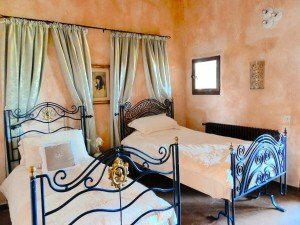 Yoga Retreat Italy. Retreats In Italy Just Got Better. Special offer. 2 People for only €1800 if booked direct. Some say that the name Perugia comes from the Ancient Greek word for “abundance.” The intention behind Abundance Yoga Retreats is to combine sustainable choices that propagate an infinite bounty of the food, energy and love of this beautiful and mountainous part of Italy. Nourishing Body, Mind & Soul. 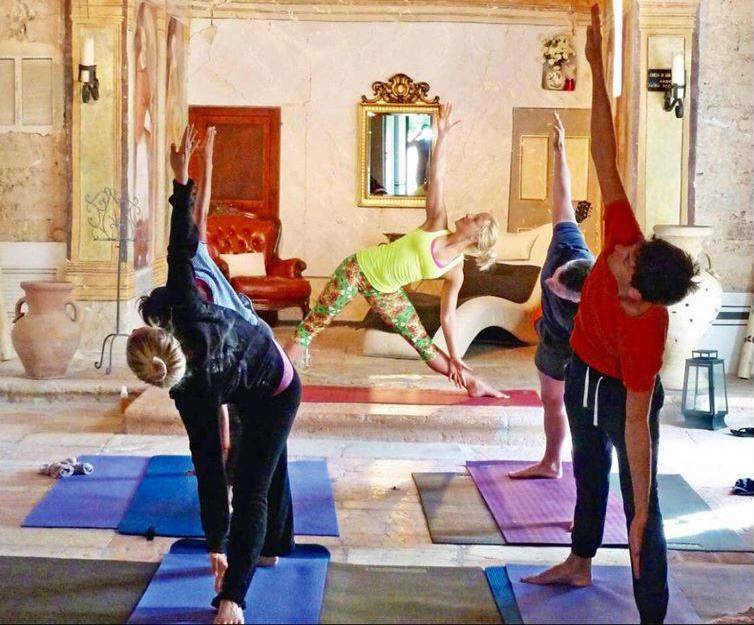 We offer you a unique retreat that promotes self-inquiry, self-empowerment and self-love through the modalities of yoga, wholesome and loved food and supportive community. Get ready to make changes in your life, leave your stresses and troubles behind and set yourself on a journey to a newer YOU of abundance, acceptance and a purer vision of the heart. 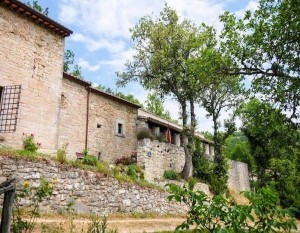 If walking surrounded by the beauty of nature is your passion, then you will 3 marked trails start from the front door of San Flaviano Monastery.. Umbria is the ideal place for lovely walks, breathing in clean air, surrounded by nature. The succession of mountains and plains gives this region enchanting landscapes and bright colours with change with the seasons. Walking in Sellano means being in direct contact with nature, but also exploring old churches, ancient hamlets, hilltop villages, narrow medieval streets. 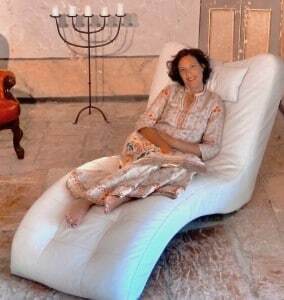 The History of San Flaviano Awakening Retreat. San Flaviano, The Land of Light where the Doves Meet is one of Italy’s oldest buildings. It is estimated that the original Etruscan Temple on this site was built around 750 BC. The present church was built from the ruins in the 8th century and grew with the community until the 15th century. 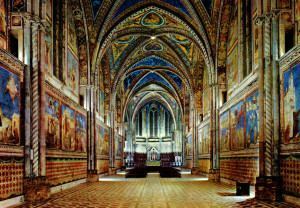 The church is dedicated to the 4th century Archbishop of Constantinople San Flaviano and was used as a resting place for pilgrims on the route to Assisi. 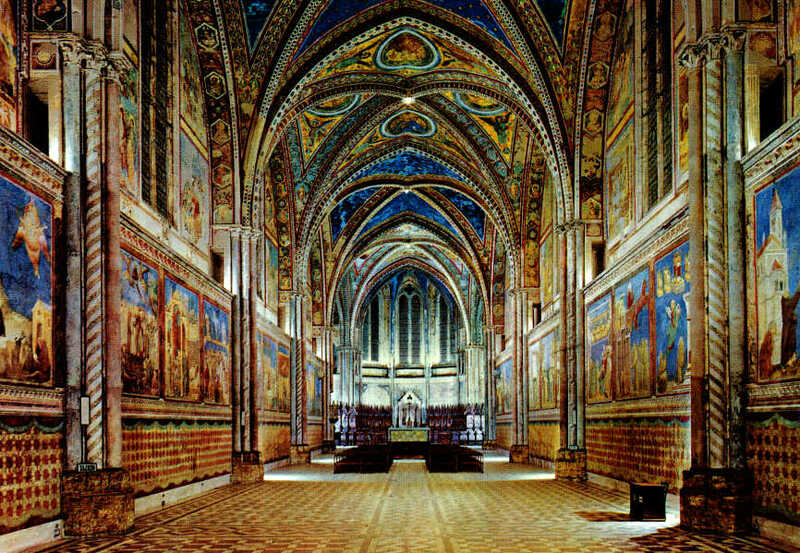 The frescoes over and around the altar area are from the 14th century and have been restored where possible. There are beautiful watercolors of San Flaviano, St. Thomas, and St. Anthony along with cherubs and angels playing music and singing. San Flaviano serviced the community until closing in 1972 when it was de consecrated. It has reopened its doors in 2014 as a non-denominational spiritual center, taking care of those who also want to take the pilgrimage to their essential selves through a physical, emotional and spiritual pilgrimage. The rest of the beautiful white stone building was most certainly a monastery and has been newly renovated. It includes a living room / dining room with fireplace, a professional chef’s kitchen, and four double bedrooms, each with their own en suite private bathroom. Our traditional Umbrian cuisine is about good flavour, freshness, and simplicity. 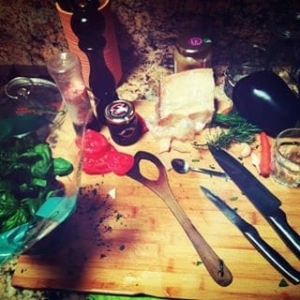 After so many request we have decided to add in an Italian cooking class plus an open invite to join the chef in the kitchen to learn how to prepare our famous Abundance Food. Umbria’s rich local soil provides its residents an unlimited number of amazing seasonal ingredients which are simply prepared to highlight the true flavour of each dish. The traditional methods still used in the production of such typical ingredients as Norcia’s regional artisan cheeses, regional wines, and our famous treasured black truffle that grows on our grounds here at San Flaviano Retreat. Our cuisine is unique to the region, and authentic to it’s origins. The cuisine of Umbria is healthy, hearty, and born from “cucina povera”. Umbrians have always relied on the natural resources harvested from their fields and forests. It is honest, Italian home cooking at it’s very finest! 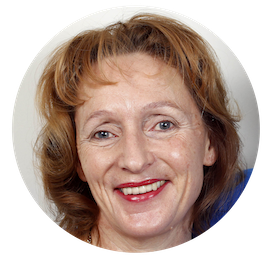 Karen will take you through the linked techniques of breathing, postures and meditation, she communicats the joyful essence and potential of yoga: to unify the body and the mind, and in so doing to quieten thought, focus the attention and generally start to act – and live – in a more mindful way. Every class and workshop will new knowledge – and self-knowledge. There could be a breakthrough in a balance or a bend but there was also acceptance that not every day is a star performance day. Karen is a qualified British Wheel of Yoga Teacher. She has studied, and continue to learn, with amazingly inspirational teachers from many yoga disciplines, including Iyengar, Hatha, Anusara and Scaravelli, and incorporate aspects of all their teaching into her classes. Eve offers gentle, alignment based classes, strongly focussed on the breath and spinal integration, encouraging personal spiritual exploration and a truly embodied practice. She helps to establish patterns in the physical body which invite the flow of prana to move freely in a balanced and effortless manner. Exploring and discovering the body and mind through asana (posture), pranayama (breath manipulation) and meditation, engaging with a deep sense of interconnected wholeness. Having studied various styles of yoga over the years, including Iyengar, Scaravelli, Kundalini and Anusara, Eve’s teaching truly comes from the heart. She encourages an intelligent and conscious approach to the postures, finding grounding, stability and expansion. Triyoga in London, where she continues to practice. 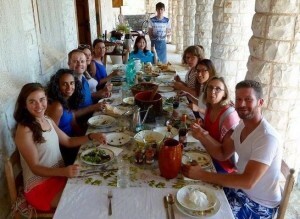 “… there was a beautiful candlelight ceremony that we all participated in, followed by a wonderful meal prepared by one of the guests and shared by all. It was truly special to be a part of this. Afternoon trip to UNESCO World Heritage-listed town of Assisi. Famed as the birthplace of Italy’s Catholic patron saint, St Francis of Assisi, the sleepy little town documents all the highs and lows of his life. On a walking tour includes The Basilica di San Francesco, Piazza del Comune, with its turreted ‘palace’- Palazzo del Capitano del Popolo and admire the Roman Temple of Minerva and then return to San Flaviano for dinner on the terrace. Straddling the provinces of Le Marche and Umbria, the Sibillini mountains are among the most beautiful in Italy. Evocative place names summon the magic of this wilderness, once believed to be a haunt of witches and sorcerers. The national park is ringed by medieval villages, which, if they were in Tuscany, would be crawling with tourists. 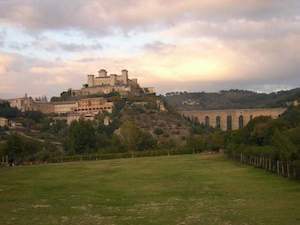 Spoleto’s history actually goes back further to Bronze Age Umbria. Today, it’s best known for its annual summer Festival dei Due Mondi (Festival of Two Worlds or Spoleto Festival), honoring music, opera, theater and dance. Among the city’s many excellent historic sights are its first-century Roman amphitheatre, the 12th-century Duomo, 13th-century Ponte delle Torri aqueduct and the 14th-century hilltop fortress, Rocca Albornoziana. Nice and cool in the evenings, the flowers are just amazing. 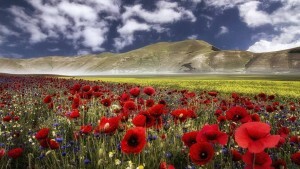 This is when this lovely part of Italy is at it’s best. Great for treks to Lago Pilato. Also the best time to see the lower (and hotter) towns such as Assisi, Spoleto and Perugia. August is the hottest Month in Italy, but we are situated 850m above sea level and so while all other yoga retreats too hot we are still walking around in slippers in the evenings and the cooling breezes are perfect for outdoor Yoga. The church is cool all your round for indoor sessions. Make use of our swimming pool on the hot afternoons. September in the Umbrian Mountains is the perfect time for hiking, water rafting, sight seeing and relaxing as the sun is gentler. The air is beautiful and fresh while still warm enough to dine under the stars.